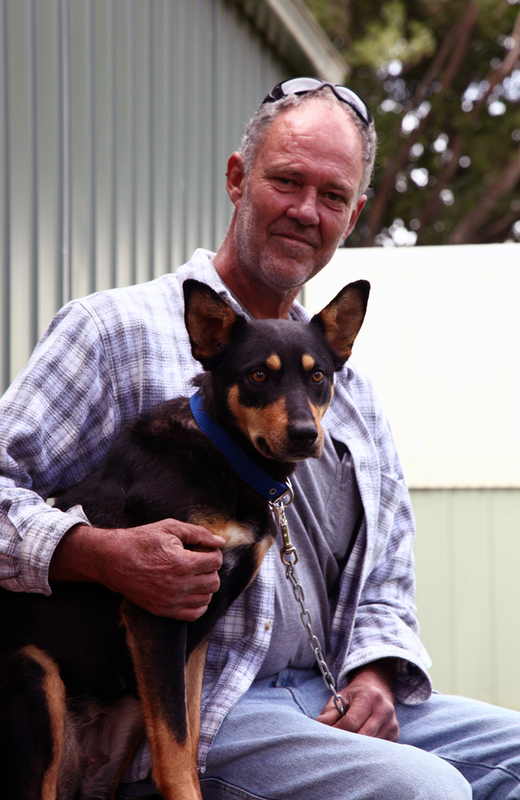 When Kevin received a call from The Lost Dogs’ Home informing him that his best mate, three-year-old kelpie mix Sheila, had been found roaming the streets of Melbourne, he jumped in the car and set off down to the city the very next day. It was a long drive. Indeed, the distance to cover in order to pick up his displaced pooch was so great, he decided to break the drive up, and stay overnight in Benalla. However the 450-odd kilometre drive was all going to be worth it when he finally got his girl back. The day she went missing, Kevin wasn’t as surprised as perhaps one would assume he would be. As a working kelpie, Sheila’s disappearance could really be put down to a misunderstanding. “I took my dogs off the lead for a run, and was just about to take them down to the dam for a swim when I stepped inside for a minute,” Kevin said. “I came back out onto the verandah and Sheila wasn’t there! “Sometimes, if I haven’t got enough work for my dogs at home, I’ll take them down to the sale yards and lend them to some of the other blokes down there. I like to give the guys a hand and it keeps the dogs in work mode. Kevin searched high and low for Sheila, in all of the local pounds and properties, to no avail. The neighbours had also seen neither head nor tail of the missing mutt, and life at home wasn’t the same for Kevin. “There was a little bit more work to do myself, instead of having the dog to push sheep up and things. And of course, I missed her a lot! Any animals that are worth having around, you miss when they’re not there,” he said. Luckily though, Sheila turned up on Melbourne’s streets not too much later, where she was picked up by an animal ambulance, brought to the Home’s North Melbourne shelter and scanned for a microchip. Finding Kevin’s contact details, staff at the Home were able to immediately give him the call he had been waiting for. “I have another property about 30km from where I live, and I was at the next-door neighbour’s one day, giving him a hand with his harvest equipment when I received the call. I just said to my neighbour, ‘Well, I don’t think I’ll be here tomorrow… I’ve got to go for a drive’,” Kevin laughed.